Stephen began his martial arts training in his family’s adopted homeland, New Zealand. A martial tradition ran through the family, reaching back to the high Tang dynasty. His grandmother was a trained swordswoman who participated in the bloody warlord and brigands era of early 20th century China. Stephen’s first formal teacher was Karl Sargent, the winner of several championships in the Pacific and Asia. He became Karl’s deputy instructor at his headquarters dojo. Assistant instructors included the legendary John Dickson, who had fought with Chairman Mao in the struggle for China. Stephen’s flowing dark hair (worn in a long bandana of red silk) and John’s flowing white hair were features at outdoor training sessions in the Waitakere rain forest mountains. Stephen moved to London in the 1970s, he stayed till 1980 when he left for Africa, and returned in the late 1980s. He was several times a guest-of-honour at the KUGB national championships at Crystal Palace, and would be seated beside Mrs Enoeda. He conducted the karate gradings of Sensei and Mrs Enoeda’s son at Westminster School. He trained or taught at the legendary dojos in Marshall Street, the Cut, the Budokwai, the Tokei, Earlham Street, Philbeach Gardens and Judd Street. From 1980, Stephen lived and travelled throughout Africa for several years and established a huge public service project of teaching karate to all, including young people from impoverished areas. This project continues today. Stephen has trained eight times in Okinawa and other parts of East Asia (Tokyo, Beijing, Hong Kong, Kaohsiung and Tainan in Taiwan) and been awarded senior grades and titles by Shian Toma (7 dan and Shihan), Seiki Toma (8 dan and Kyoshi), and Roy Hobbs (9 dan and Hanshi). He trained also with Kozo Mita in Tokyo as a guest in Sensei Mita’s house, Seikichi Odo in Okinawa, Boulahfa Mimoun and Kinei Nakasone in Salamanca, Spain, and many other masters around the world. With Wayne Otto as player/coach, he instructed the University of Kent karate club which became the UK’s most successful university club for 9 consecutive years. He helped Roy Hobbs establish the Worldwide Dentokan and worked with him for 30 years. 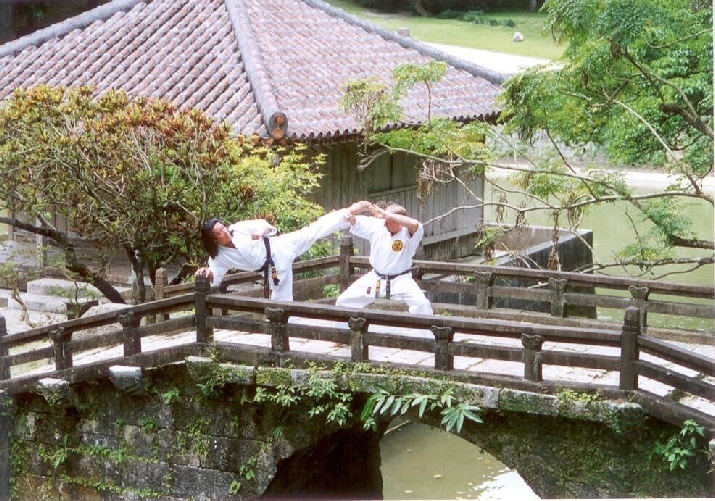 In 2012, Stephen established his own Jindokai organisation with dojos and 1000 students in several countries. ‘Jin’ is a Confucian value to do with ‘benevolence’, and expresses Stephen’s commitment to the martial arts as a form of outreach and sharing. ‘Jin’ is a Confucian equivalent of Aristotle’s idea of happiness being the performance of public good. In both traditions, the educated person has an obligation to be benevolent. Through ‘Jin’, Stephen seeks to combine the impulses of both his academic and martial lives. The Jindokai is a consultative organisation in which all instructors have a voice without pompous hierarchies. Stephen has fought all his life in many countries for transparent constitutional rule. He seeks that also in his martial life.